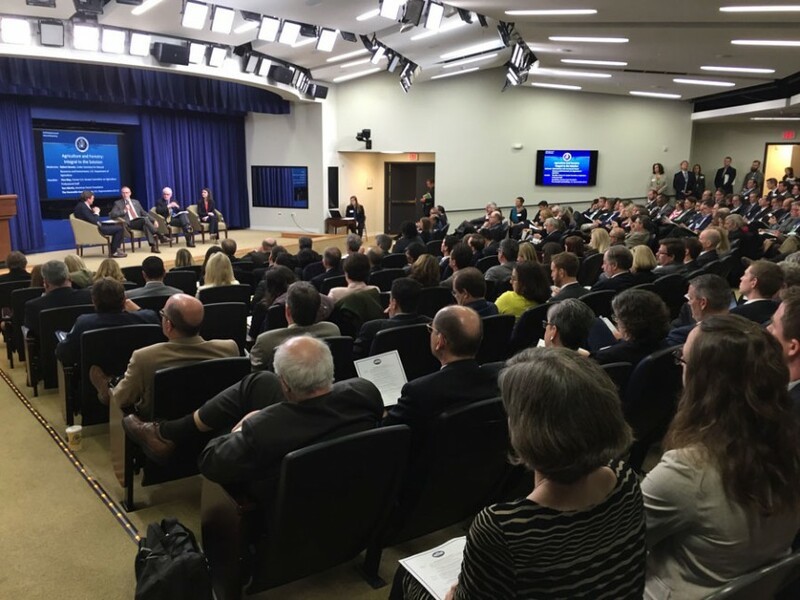 The White House Water Summit, held on World Water Day (March 22), gathered leading institutions with a stake in innovating sustainable solutions to mounting water safety and security issues–and Ohio State was one of them. Marty Kress, interim director of the Global Water Institute at Ohio State, was on hand to participate in the summit, which consisted of a series of panel discussions about key challenges facing the nation such as climate change, flooding, drought and municipal contamination such as in Flint, MI. At the conclusion of the summit, partners were invited to commit to tangible actions that will support greater awareness of and action toward solving national water challenges. Ohio State joined fellow members of the U.S. Water Partnership in committing to launching several new tools that promote greater public access to water data as well as an innovation challenge to incentivize new ideas for creating resilient water systems.